Foam Engineers has partnered with UIC yet again on a contemporary new construction home in the Botanical Heights Neighborhood in downtown St. Louis, Missouri. 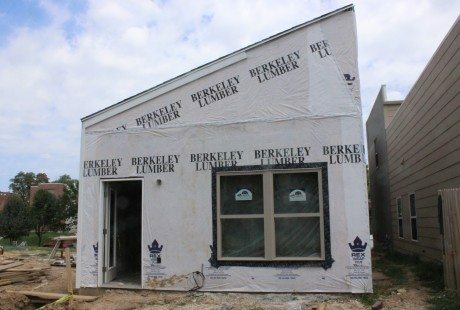 UIC is redeveloping the neighborhood, renovating homes in need of repair and building new homes on vacant lots. The area is just minutes away from the beautiful Missouri Botanical Gardens. 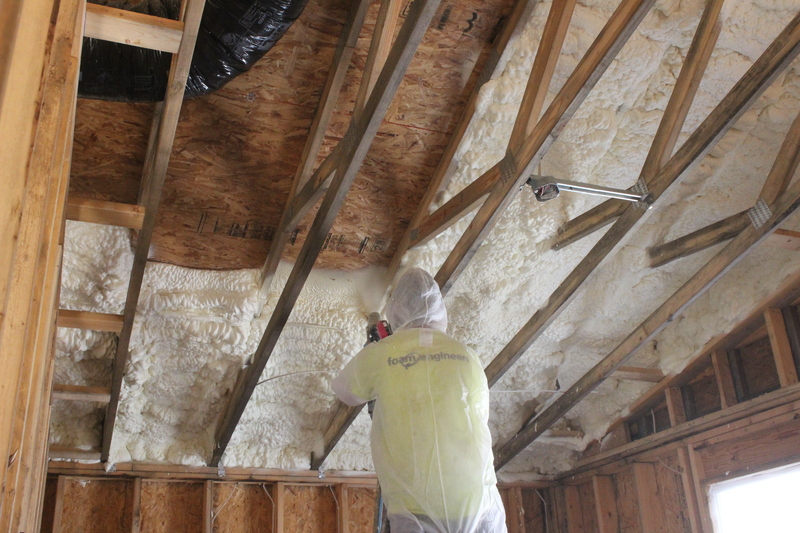 In both new homes and renovations, Foam Engineers professional insulation service gives a home optimal energy efficiency. 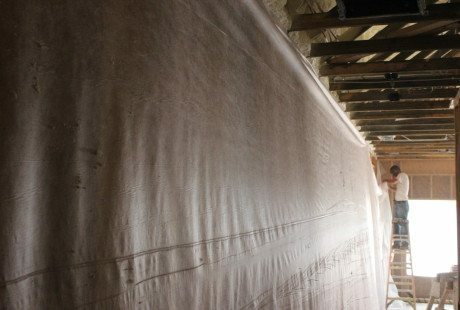 We are expert insulation contractors, with a knowledge of a wide variety of insulation types. 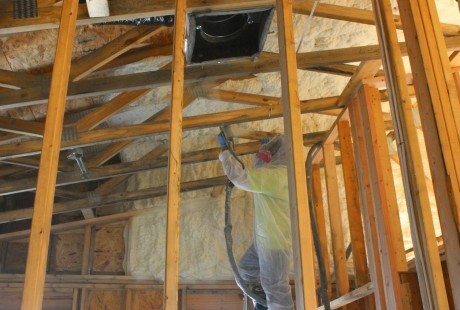 We often combine two or more different types of insulation to create a hybrid solution, unique to each job. 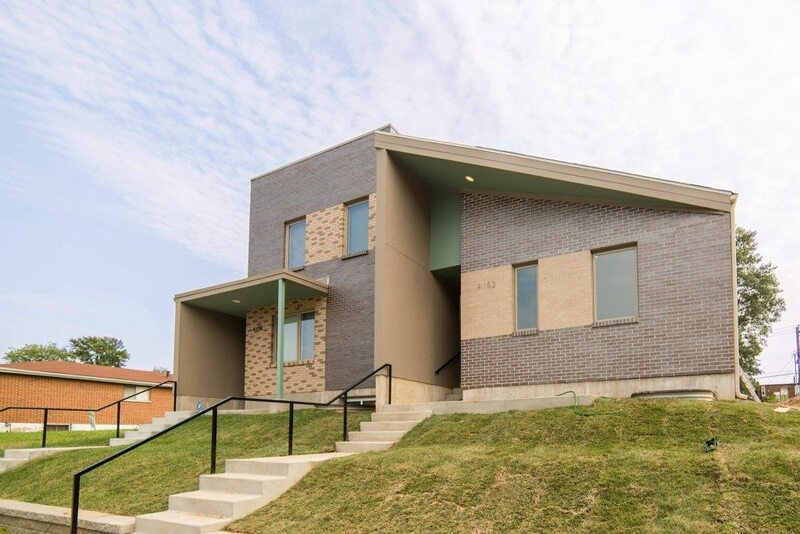 UIC flounder style house under construction in St. Louis, Missouri. Those amazing 10' ceilings will be nice and energy efficient! Spray foam seals all gaps and openings. 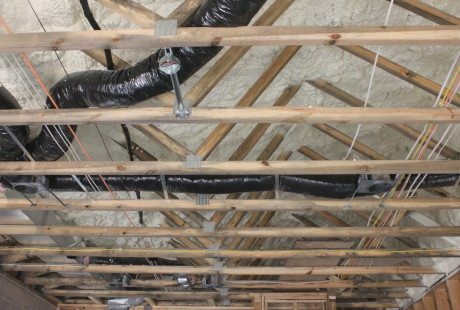 This ceiling is now air tight and efficient. Foam Engineers begins to hang the netting for dense pack cellulose. All the vertical exterior walls insulated using cellulose. 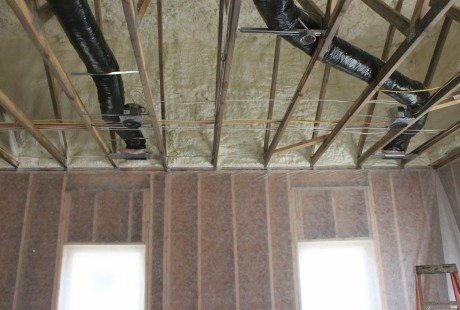 Foam Engineers created a custom hybrid insulation plan for this job. 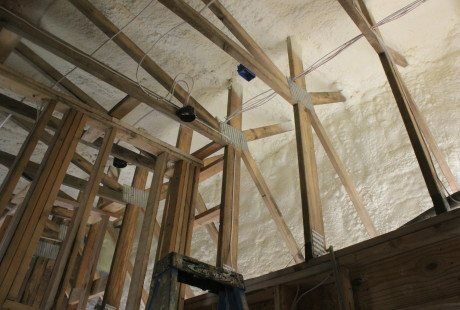 It combines spray foam and dense pack cellulose.